We wanted to build something that help people in tourist situations or when they are in a city they are unfamiliar with. It tests different routes (graph traversal) to score how safe it is based on past crime incidents in the areas near the route and then returns a route that is safe and fast. 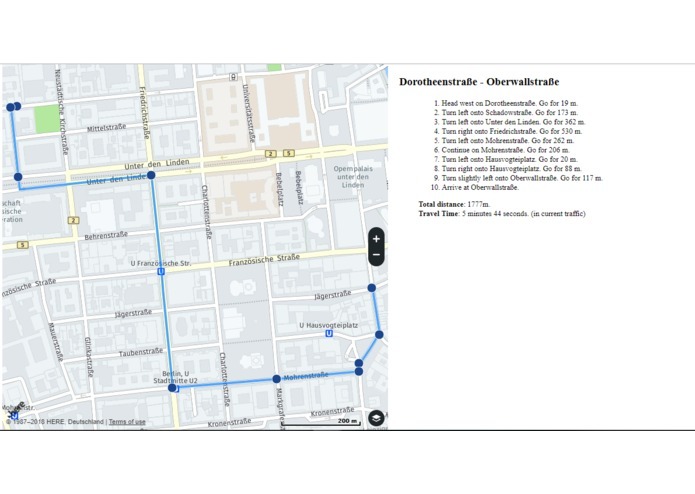 Used node.js backend which handles traversal algorithm and communicates with front end which calls the Here.com API to plot the route. We get real-time Chicago crime data loaded through Google Cloud's Big Query for the purposes of testing this in one city.